Iowa, Kansas, Missouri, Nebraska, and South Dakota. Reinforcing steel placement, concrete barrier rail slipform & hand pour, bridge approach concrete paving, concrete flatwork, installing paving baskets and geo grid, pavement joint sealing, paved shoulders, miscellaneous concrete flatwork, etc. Over 85% of our projects are subcontracted work. 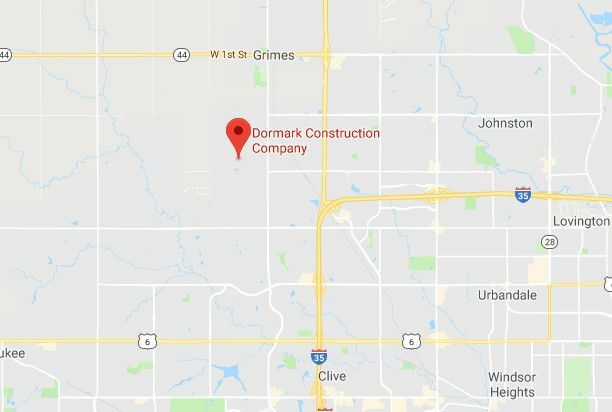 We have the resources and skill to manage a project from start to finish and with over 30 years in the bridge and highway construction industry, Dormark Construction has the experience to tackle jobs that require a quick turnaround without jeopardizing quality and safety.